With the trade deadline just three weeks away, and all signs pointing towards the Twins being sellers at the deadline, contending teams are starting to take stock of what the Twins have to offer. Despite being in a down year (relative to his normal production) and on an expiring contract, Dozier remains one of the top players the Twins have to offer at the deadline. I get that there is still somewhat of an ongoing debate about whether or not it is the best decision for the Twins to move Dozier at the deadline or wait until this winter and give him a qualifying offer. While I agree that both sides of the debate are still up for discussion that is not the point of this article. 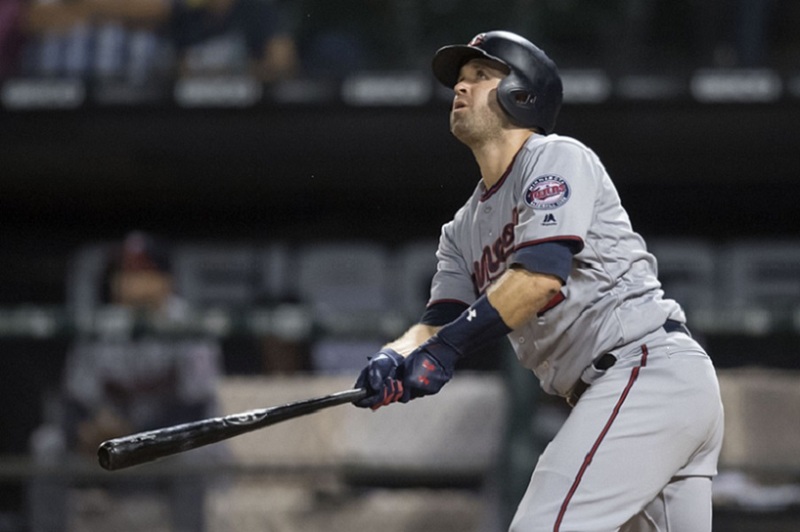 Instead, we will be looking into which teams have the most to gain by adding Brian Dozier to their roster before the deadline to try and assess what kind of value Dozier might have. Unless that best offer is organizational filler that won't even be in the system in a year ... In that case, pass.I'd rather watch him play for two more months. Depends which WAR you use. According to Fangraphs Dozier has a lead of 1.0 to 0.6. Dozier also has a much better track record than Villar.So I guess if you’re the Brewers you have to ask yourself who would you rather have playing second base for you during a pennant run, Brian Dozier or Jonathan Villar? For me I’m taking Dozier in a heartbeat. I might lean Dozier, but not enough to give up a real prospect. As long as we don’t toy with him as a starter like the Dodgers did, the Twins “should” be getting a younger version of Raisel Iglesias. YES, we actually are in agreement here. That's certainly the most efficient approach, but I can't ever get on board with it.I'd rather watch two more months of Dozier than two months of Gordon making mistakes in the field and playing 56 wRC+ ball just to get his feet wet. Unless, of course, I'm getting a return with a better than average chance of impacting the big club. I am trying to think of the opposition GM and why that person would want Dozier.He has 1.2 WAR which actually shocks me.He is batting 223 with a 309 OPS, He is slugging 402. He is 1.2 runs above replacement, but he is -2 runs against average. This is not a man who is going to be a difference maker.He is not a clutch hitter. He is just a good player and he is not batting like a good player right now.So if you ask me about Dozier I say how about Escobar.